At the beginning of the 21st century, the economic and political fate of our planet is dominated by global corporate interests whose primary interest is in maintaining the status quo. As a result, there is an ongoing systematic drainage of the economies of the nations of the world by three dominating sectors: the pharmaceutical, chemical and petrochemical investment industries. However, scientifically-proven alternatives to these industries’ products – that could enable mankind to liberate itself from them – are already available. 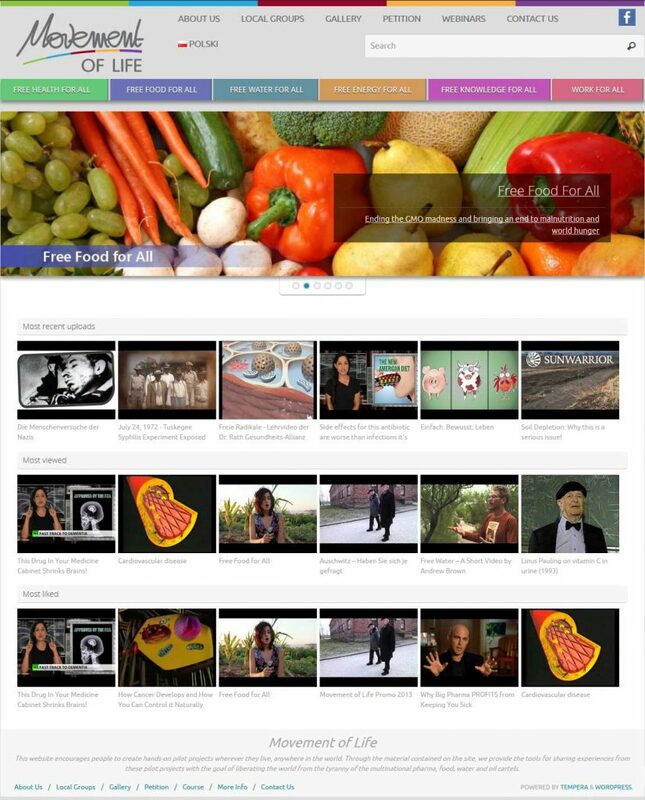 Through accessing the videos and other materials on the Movement of Life website, people everywhere can use the available knowledge from these breakthrough technologies to create hands-on pilot projects. 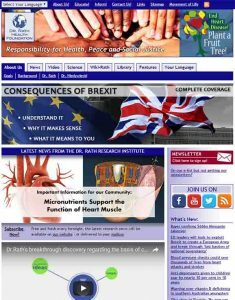 Ultimately, through sharing the information on this website as widely as possible, the people of the world can be liberated from the tyranny of control by multinational corporations in the areas of health, food, water, energy, knowledge and work. This is the goal of the Movement of Life! The Dr. Rath Health Foundation is a non-profit organization dedicated to improving human health on a global scale through research, education and the defence of patients’ rights to choose natural health therapies. 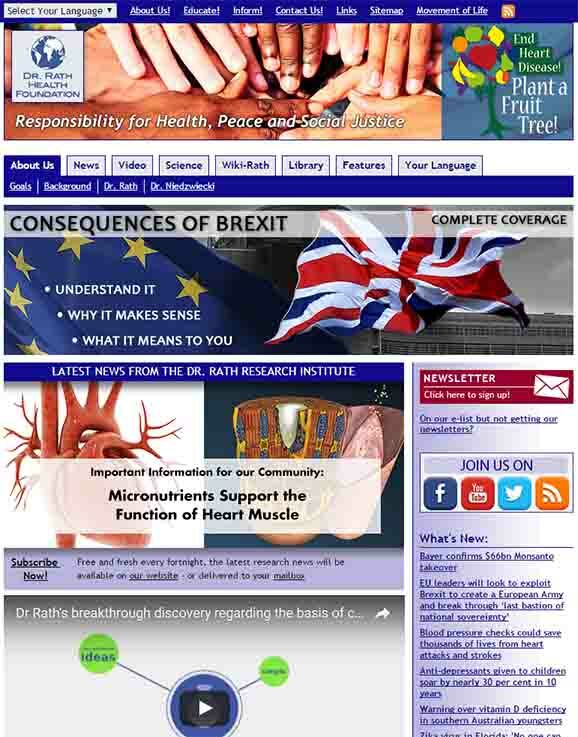 The scientific discoveries of its founder, Dr. Matthias Rath, a pioneer in natural health research, offer major breakthroughs in the natural approach to heart disease, cancer and other health concerns. His vision, backed-up by his extensive research, has unleashed the potential of controlling these diseases through natural means. As a result, the Foundation has been instrumental in promoting natural health education and people’s health rights throughout the world. 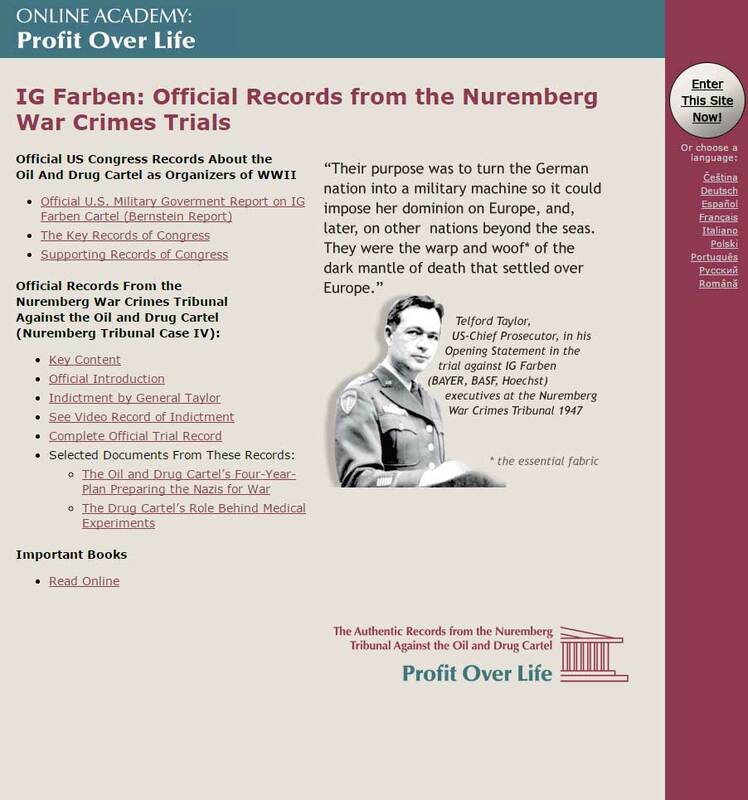 After 60 years of silence, the Profit Over Life online archive opens up the records of the Nuremberg War Tribunals against IG Farben, the largest chemical/ pharmaceutical multinational during the first half of the 20th Century, to people everywhere. 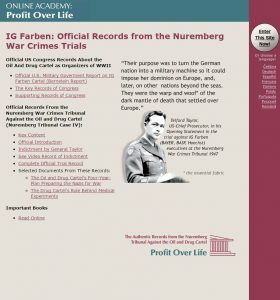 The tens of thousands of documents contained in the archive unequivocally document that WWII – a war that cost the lives of more than 60 million people – was planned and financed by the IG Farben cartel, at that time consisting of Bayer, BASF, Hoechst and others. Students, teachers, academic researchers, politicians and millions of people worldwide are therefore invited to use this archive as the basis for better understanding history. This is particularly important because multinational corporate interests continue to this day to use military force to reach their global goals. 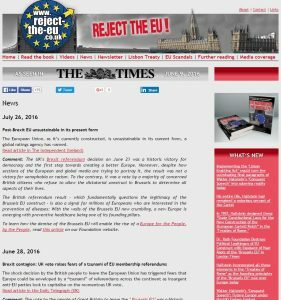 For citizens of the UK, the exposure of the Nazi roots of the Brussels EU is a particular provocation. Having twice previously – in WWI and WWII – played a critical role in saving Europe from takeover by the Oil and Drug Cartel and its political stakeholders, they are now faced with the possibility that the great human sacrifices of their countrymen were in vain. With their subjugation under the Lisbon Treaty and the Brussels EU, the lives of sixty million Britons living today, and countless more as yet unborn, would come under the yoke of the very same interests that have tried to conquer and seize control of the UK twice before. 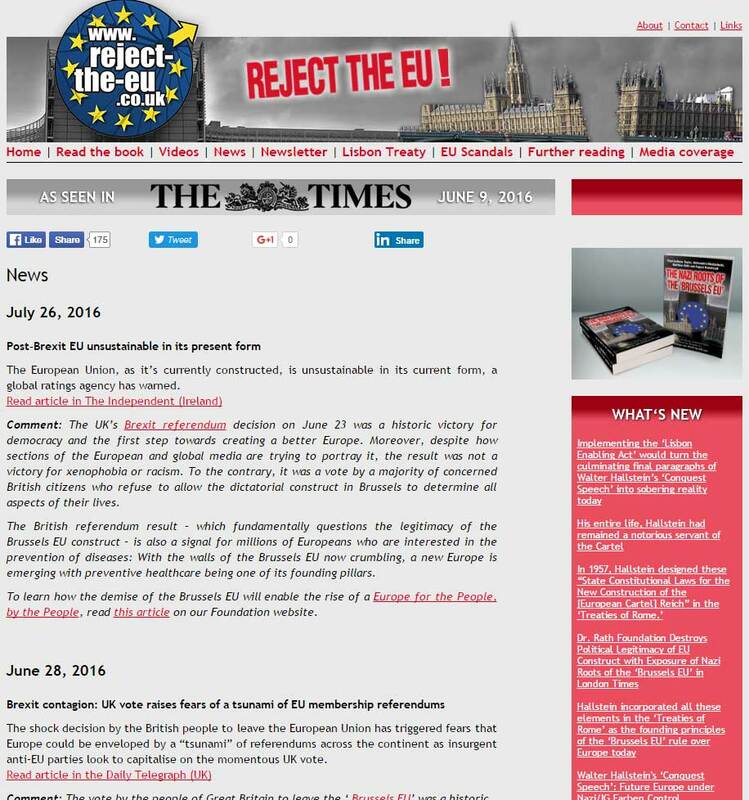 Citizens of the UK are therefore urged to help disseminate the information contained on the Reject the EU! website among their family, friends, work colleagues and in their communities, and, moreover, to confront their political representatives – at local, regional, national and European levels.